IBPS has released for 5249 Probationary Officers Vacancies. Click Here to So, Candidates who are interested can apply for this IBPS RRB PO Recruitment 2018 before the last date. Aspirants can submit Online IBPS RRB PO Application form starting date onwards i.e 1st July 2017 through the official website provided below. Before applying for IBPS RRB PO Vacancy 2018 candidates must check the IBPS RRB PO Recruitment Notification 2018 and IBPS RRB PO Vacancy details clearly. 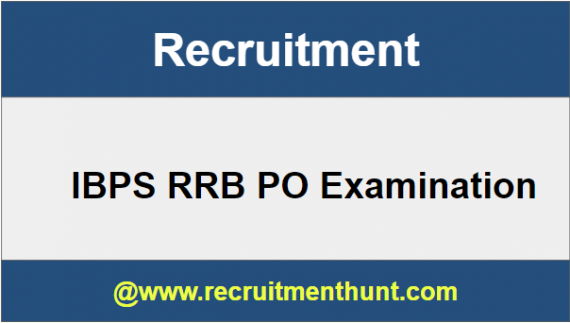 Here, we have provided all the details of IBPS RRB PO Recruitment 2018 in the following sessions. 1.7 How To Apply For IBPS RRB PO Recruitment? The Above table consists of the important details on IBPS RRB PO Exam. So, The Candidates who are interested can refer the details provided in the table. And also, IBPS RRB PO Syllabus is been provided on the page. So, the candidates can also go through the page to know more about the syllabus. The syllabus is the first step of preparation for an exam for any candidate. Therefore, we have provided the IBPS RRB PO Exam Pattern that can help the candidate to plan his/her study schedule. Moreover, candidates can make use of all the material provided on this page to score good marks in IBPS RRB PO Exam. Educational Qualifications Candidate must have a minimum education qualification of Graduation from any recognized university. He/She must fall into the prescribed age limit as stated by Institute of Banking Personnel. The selected candidate will be recruited with a salary of Rs.23,000/- per month. How To Apply For IBPS RRB PO Recruitment? Find the IBPS RRB PO Notification. Click on the Notification and go through the Notification Carefully. Click on the Registration and Register with valid email id. After that login enters the required details in the boxes. Upload the Scanned Documented and Photograph if any required. After that Pay the Application fee according to your category. Take a Print out of the filled Application Form. Finally Candidates can download IBPS RRB PO Recruitment here. So, Applicants can make their preparation easier by following IBPS RRB PO Syllabus. Download IBPS RRB PO Exam Patterns along with IBPS RRB PO Previous Papers 2018-19 on this article. Also, For more Job Updates stay Tuned to our site Recruitment Hunt. Also, for more sarkari naukri updates, please visit Recruitment Hunt.